In Knowing Subjects, Barbara Simerka uses an emergent field of literary study—cognitive cultural studies—to delineate new ways of looking at early modern Spanish literature and to analyze cognition and social identity in Spain at the time. Simerka analyzes works by Cervantes and Gracían, as well as picaresque novels and comedias. Employing an interdisciplinary approach, she brings together several strands of cognitive theory and details the synergies among neurological, anthropological, and psychological discoveries that provide new insights into human cognition. Her analysis draws on Theory of Mind, the cognitive activity that enables humans to predict what others will do, feel, think, and believe. Theory of Mind looks at how primates, including humans, conceptualize the thoughts and rationales behind other people’s actions and use those insights to negotiate social relationships. This capacity is a necessary precursor to a wide variety of human interactions—both positive and negative—from projecting and empathizing to lying and cheating. Simerka applies this theory to texts involving courtship or social advancement, activities in which deception is most prevalent—and productive. In the process, she uncovers new insights into the comedia (especially the courtship drama) and several other genres of literature (including the honor narrative, the picaresque novel, and the courtesy manual). She studies the construction of gendered identity and patriarchal norms of cognition—contrasting the perspectives of canonical male writers with those of recently recovered female authors such as María de Zayas and Ana Caro. She examines the construction of social class, intellect, and honesty, and in a chapter on Don Quixote, cultural norms for leisure reading at the time. 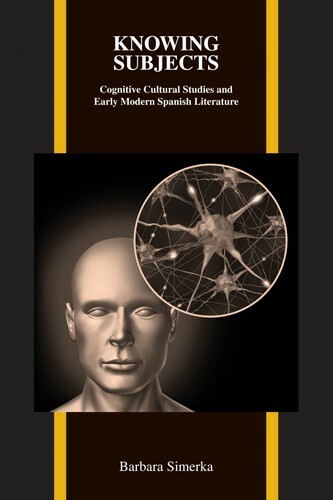 She shows how early modern Spanish literary forms reveal the relationship between an urbanizing culture, unstable subject positions and hierarchies, and social anxieties about cognition and cultural transformation. Barbara Simerka, Queens College/CUNY, is the author of Discourses of Empire. She is editor or co-editor of three volumes of critical essays and of a special issue of Cervantes. She has published over twenty essays, with emphasis on interdisciplinary and feminist approaches. With Christopher Weimer, she co-authored several articles on Don Quixote and postmodern film and founded the electronic journal Laberinto. Her most recent works employ cognitive theories to study tragic drama and genre theory, political drama (privanza), and contemporary feminist science fiction.